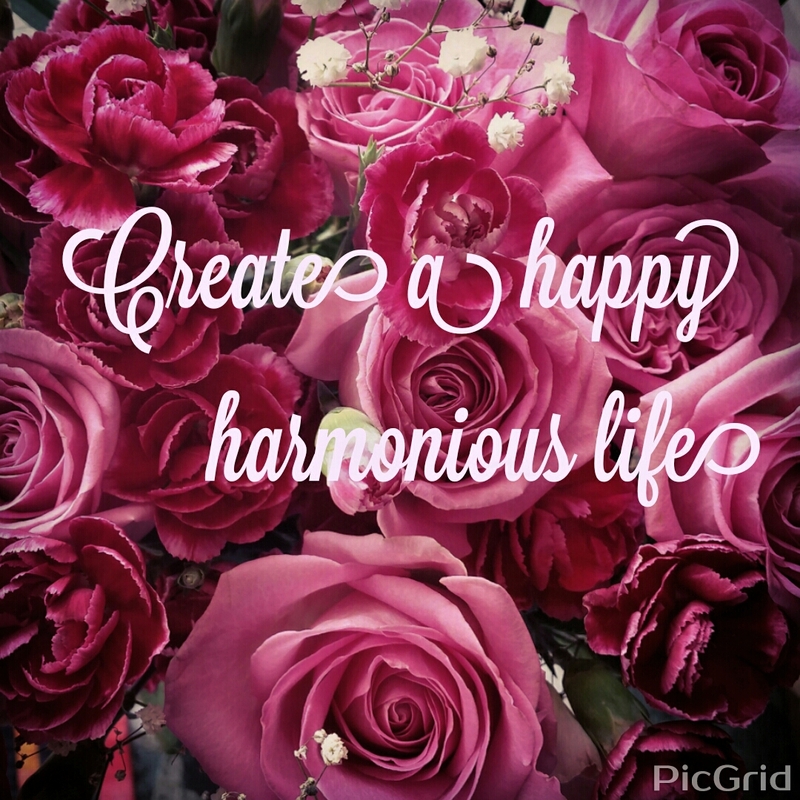 create a happy harmonious life! when does love come knocking? Before meeting MM I had spent the majority of my adult life single, and I realised that I just may be single for the rest of my life. At first I felt like I needed to grieve for that part of my life. After all it is bred into us from birth almost, that one of life’s milestones is to find your soul mate, marry and live happily ever after. But here I was 40 and single. I had promised myself that after my last dismal relationship that I would remain single until I could love myself exactly as I was and find happiness without relying on a partner for some of that happiness. Five years down the track, I had done just that. I was genuinely happy for the first time ever and not really too concerned with meeting someone. Life was actually going to plan and whilst I thought it would be nice to meet someone I wasn’t too concerned if I didn’t. And that’s when it hit me! Bam! Awe inspiring, breathtaking, soul-binding love! MM came into my life at a time when I was very happy to be single. In fact, I was so happy that we almost didn’t get together. I was thinking we should just be friends. I didn’t want to run the risk of starting a relationship and have it ruin my happiness. But taking that leap of faith has shown me that our relationship only enhanced my happiness – it didn’t take away from it. It is the way a relationship should be…an enhancement to your life, not YOUR life! They were right when they said that you have to love yourself before you can love someone else and you can only find happiness when you are already happy. I found love and happiness within and soon after I was sent love and happiness in the form of MM. So if you are sitting on the couch wondering when Mr/Ms Right will knock on your door, stop! Forget about him/her and start to fall in love with yourself. Creating a full and happy life for yourself should be your only concern. When you engage with life and let go of finding a relationship to bring you happiness, then that’s when the magic happens. I have been very busy this year and it’s only March. I do apologise for the lack of posts but I have been working on my new business, which is now up and running. Whilst this blog is about love, my business and new blog is all about living a joyful life, which if you think about it really do go hand in hand.. Please come and check it out http://thejoydirective.com. I have just posted a blog there tonight about the 5 steps to living a joyful life. If you’d like to check it out go to 5 steps to joyful living on my brand new wordpress website. Oh and to other news – this year is all about love for me. MM proposed to me in January and we are getting married in September. Words can not even begin to describe how chaotic it is organising a wedding in such a short time but why wait when you know he’s the one? Thank God for my event planning sister who keeps reminding me of all the things I may let slip through the cracks. She has been an immense resource and help. What a treasure! The WordPress.com stats helper monkeys prepared a 2014 annual report for my blog. I want to say a huge THANK YOU to all my followers and to anyone who commented. Your thoughts are really appreciated. I want to wish you all the best for 2015. I feel it in my heart of hearts that this is going to be a smashing year. Wherever you may be, whatever you may be doing, whomever you are with, may you celebrate this season with love, joy and peace. I wish that going into 2015, that we see the world filled with peace and love. That life is all that you hoped for. That your dreams all come true and that you remember how truly wonderful you are as a co-creator of your life. Romantic love is not usually a love I write a lot about, mostly because I never had much luck in that arena. However, this has changed recently with the arrival of a man whom shall for the purposes of this blog be called MM (my man). MM is such a gorgeous guy. He is compatible with me on so many levels. We have lots of common interests and the same sense of humour and in the short space of time that I have known him I have fallen deeply, deeply in lurve with him. This man is my soulmate! Being all loved up got me to thinking about soulmates and what exactly makes us so attracted and compatible to one person. Firstly, I believe that there is more than one soulmate for everyone, and I also believe that soulmates are rarely romantically connected to us. For example, my nephew is my spiritual soulmate – he totally gets my philosophy on life. My hairdresser is my musical soulmate – not only does he keep my hair looking fabulous but we bond over our mutual love of 80’s music. These soulmates have one specific task – to bond with me over a specific set of circumstances in my life. A romantic soulmate, however is an entirely different matter because they bond with your heart and your soul. So, what makes MM the guy who has stolen my heart? Is it the mutual respect he gives me? Or the way he genuinely listens to what I have to say and then uses it later in conversation so I know I have been heard? Is it the way he rubs his thumb along my thumb when he holds my hand or the way he places his hand on the small of my back as he guides me through a crowded restaurant? Is it the laughter we share or the private jokes we have between us or is it the fire he lights within me that makes me think that with him by my side I can accomplish anything? Maybe it’s a combination of all these things or maybe it’s just a chemical reaction in my brain. All I know is that whatever it is, it makes my heart sing. Alas, I think romantic soulmate love will always be a bit of a mystery and I like it that way. I believe it is something to be experienced, not analysed under a microscope. I do believe that if you interviewed a hundred couples who believed they were romantic soulmates, they would each tell you a hundred different reasons why they are soulmates. So in my opinion there is no one answer to this question. And so I leave you with a quote from my nine year old nephew, a wise one I must say. He told me that “Love is love…”. Nothing more, nothing less, love is love in all its shapes and forms.